Those of you who have been following along and paying close attention will notice that each of my top three albums of the year could be considered comeback albums of a sort. The National’s “Sleep well beast” at number three was their first album in four years, which isn’t a long time when you consider the album at number two was Slowdive’s first in 22 years, but in this day and age, The National’s inactivity felt like a hiatus nonetheless. And of course, the span between Clientele’s last album and this year’s “Music for the age of miracles”, at 9 years (8 years, if you count the mini-album “Minotaur”), pales in comparison with Slowdive’s too. That there are all these ‘comeback’ albums at the top of my list could say something about my tastes in music and might suggest that I tend towards nostalgia when making my picks. However, there are a bunch of “comeback” albums that are not on this list that could also easily slide into the nostalgia category. No. 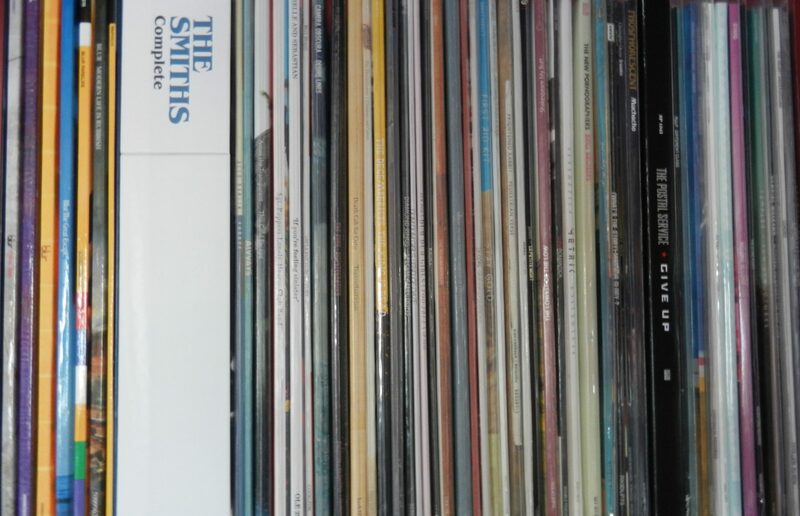 These three are all fine albums, by some of my favourite bands, and the fact that they didn’t disappoint, given the lofty expectations heaped upon them as soon as they were announced, is a good part of the reason they are ranked so high. The Clientele has been one of my favourite bands since I first heard their 2003 album, “The violet hour”. Between then and their announced hiatus in 2011, they put out a string of beautiful, and delicate releases that slanted towards 60s psychedelia. And never did creative force, Alasdair MacLean allow his group to stray from this course. But don’t mistake this as stagnation, as my friend Andrew Rodriguez did when he stated that all their albums sounded the same. When listened from end to end, you can definitely hear the progression in their sound but you will always recognize them as The Clientele. When I purchased the record from my local record store Compact Music, Tyler, my favourite vinyl pusher, noted the album with a grin and said it was a good one. He used all the usual adjectives dragged out when describing their music, but assured me that when that “hazy, epic tune backing a spoken word monologue” (“The museum of fog”) came on, he said to himself, “oh yeah… these guys”. And he nodded slowly in a way that suggested he was hearing the song again in his head at that very moment. When I put on “Music for the age of miracles” for my own first listen, it didn’t disappoint at all. It was like returning home and sitting in your favourite comfy chair and watching the greatest movie you’ve never seen before but with all your favourite actors and characters. Familiar yet mind blowing and new. For those new to The Clientele, prepare yourself for a heavenly backdrop that will make you forget whatever menial task you are performing and for your face to hurt from the smile that will be permanently pasted there the whole while. It’s an album rammed full of beautiful songs that beg for repeat listens but here are the three I’ve picked for you to sample from. Enjoy. “Everything you see tonight is different from itself”: This first track here definitely backs up my point on the band’s evolution. I could be wrong but I don’t remember drum machines being Clientele tropes, nor do I associate horns too much with their music. At six and half minutes, “Everything you see tonight is different from itself” is as much of a mouthful as its name, the length giving itself space to grow and yes, evolve from one thing to the next. The end sounding nothing like the beginning. Heady stuff. “Lunar days”: After the intro that is reminiscent of children’s windup toys or a midway carousel, “Lunar days” settles into something that more resembles The Clientele we know and love. Gentle guitar plucking piggyback on peppy but understated snare and rim drumming, the strings tease, and Alasdair MacLean’s breathy vocals lilt upon them, like a falling leave upon the breeze. It’s all so easy and free that you feel you could easily just step back into childhood in the late summer, replaying the same dog days, never to return to school. “Everyone you meet”: Here were are! A pop number! The melody even actually reminds me oddly of something Neil Diamond might have sung. There’s horns and strings and peppy drumming and of course, MacLean’s vocals that are impossible not to love here. He actually sounds like he might be smiling as he sings them. Interesting, then, that he appears to be singing about depression “Everyone you meet breathes low, moving soft and slow, blue very blue. I can’t sleep at night, I don’t know what to do.” I feel like maybe he should just listen to more of his own music. So beautiful. Rob Gordon: I will now sell five copies of “The Three EPs” by The Beta Band. The above exchange constitutes the breakdown of what is one of my favourite scenes in film history. And I’m reasonably sure that I’m not the only music geek that went out immediately after seeing “High fidelity” in the cinemas to also get a copy of The Beta Band’s “The three EPs”. (I’m talking about those of us that didn’t already have it in our collections, of course.) Yet try as I might, I was never, outside of a few tunes, ever able to get into the group. Unbelievably, I had better luck with The Aliens, the band made up of former Beta Band members, Gordon Anderson, John Maclean, and Robin Jones, and then, when former frontman Steve Mason released “Boys outside”, his first solo work put out under his real name, I was completely enamoured. Some music writers have said that the album, “Boys outside”, sounds like The Beta Band replayed through a magical, adult alternative filter and I suppose that makes sense. It and its title track, which I love to pieces, feels infinitely more mature. It bears the weight of Mason’s financial and general life struggles, as well as his battles with depression. The bleak black austerity of the cover is certainly a reflection of all this, as is the often claustrophobic production. “Boys outside“ is lilting guitars and breathtaking washes. It is Mason singing his pain, despair, and hope in a voice that was often overlooked in discussions about his old band’s worth. It is heartrending at its quiet moments and glorious at its apexes. It’s one of those songs I slip on when I want to be reminded of beauty in world. And perhaps this post won’t sell five copies of Steve Mason’s “Boys outside” but maybe one or two. And I’d be happy with that. Back in the spring, my wife and I made the trek out to Montreal to see Slowdive play there. We’ve done this sparingly over the years that we have lived in Ottawa, probably too sparingly, but when we do hit up the bigger city for a show, we plan to stay a night or two and make a weekend of it. (We learned the hard way after driving home exhausted in the early hours after a James show in 2008.) I was super excited when I saw that Slowdive had added a show in Montreal to their tour and it actually wasn’t too difficult to convince my wife, even though she had never heard the band, given that we hadn’t had a weekend away in a few months. I, myself, was relatively new to Slowdive because I didn’t take to them when they were around during shoegaze’s first wave in the early 90s. It took getting into Mojave 3 first (Neil Halstead’s and Rachel Goswell’s second band) for me to really appreciate them. Then, when Slowdive, following successful tours by other shoegaze luminaries, Lush, Swervedriver, and Ride, announced their intention to reunite for some shows, I was super intrigued to see them live. Of course, I had given this new album a few cursory listens beforehand but I didn’t actually buy it until I got a copy on vinyl at the show. I probably don’t need to tell you how great the concert was, even Victoria really enjoyed it, her listening to them with completely fresh ears. What surprised me most, though, was the variety of age groups in the audience. I was expecting it to be mostly 40 year olds, like I saw at the Ride reunion show I caught two years prior. And maybe they were there to see the opening act, Japanese Breakfast, but I’d like to think that the songs on “Slowdive” were getting radio play and appealing to the younger set. As I good as the other new releases have been by the aforementioned Lush, Swervedriver, and Ride, Slowdive’s new self-titled album is easily the best of the bunch. It shows none of the dust or rust that might have accumulated in the 22 years since their last release. Neither does it feel like they are just revisiting glory days or tarnishing the reverence bestowed upon them by adding subpar material to their catalogue. The eight songs on this album are as good as anything they’ve ever released. And by keeping it to eight songs, it feels like they’ve left no room for filler. Each song is a beautifully ethereal and magnificent composition. They float on a layer just above our heads, the twin vocals of Halstead and Goswell hermetically entwined, alien and angelic. I’d love to present all eight songs to you for consideration but like the other albums in this top five, I’m going to limit my picks for you to three. Enjoy. “No longer making time”: This was perhaps the last of the tracks on the album to hook me and yet, hook me it did. The beat and the bass line is slow and unassuming, setting the stage for the first verse where Halstead’s murmuring vocals do a little dance with the reverb drenched but soft lead guitars. All that serenity falls by the wayside at the chorus. The guitars take on some heft and sizzling effects, Goswell joins in with backing vocals, and everything gets loud and just this side of too much… too much… But then, the ecstasy passes. “Sugar for the pill”: This track is all about the recurring guitar line that starts the track, climbing creepily and slithering easily back down your spine, and continues to hypnotize, even as the heavy bass joins in. There is so much reverb in this song, you’d think the band had locked you into some new age echo chamber and stood outside taunting, dangling the key gleefully. Not that you’d want to escape if you could. You’d just close your eyes and let yourself melt into the bright coloured mists, ignoring the slowing of your heart beat and deepening of your breaths, and the general feeling of vibration. “Star roving”: And lastly, we have the real rocker of the album. The drums jump, waves and walls of guitars thunder and tear, and even Halstead has a bit of edge to his delivery. Of course, that could just be the effects pedal that everything seems to be run through, making everything so damned raw. I could totally see this one filling the dance floor of any alternative club back in the early to mid nineties. Hundreds of sweat soaked kids swaying and tilting to the distortion, alcohol coursing wildly through their bloodstreams. Would this be happening in the clubs today? I’d like to think it is but would be curious to know for sure. It certainly held the lot of us enthralled when I saw them live. Such a lovely beast indeed.